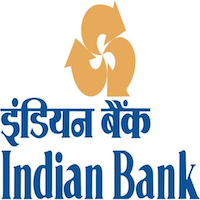 Online Application Details for Indian Bank Recruitment of 21 Clerk / Officer is given below. Application form and duly attested documents are to be sent to Assistant General Manager (HRM), HRM Department, Corporate Office, Indian Bank, 254-260, Avvai Shanmugham Salai, Chennai, Tamil Nadu – 600014. In envelope super scribed with ‘Application for the Post of Post Name’.